Psychic Horizons Center offers a safe haven for sensitive souls to develop their own psychic abilities so that they may find the truth and the answers they seek this lifetime. Our motto is “follow your own path” and we provide tools to help you discover your truth! The healing we are all searching for is being able to access our abilities, and understand that we are an eternal spirit living in a human body. Embracing this as a truth is the return to understanding that we are all one, part of a greater good and source of eternal love. This process began in each of us at birth when we chose to undertake our life’s journey. Now, we’re choosing to be more conscious of our journey and enjoy it more! People attracted to classes at Psychic Horizons Center know that energy is real and they want to learn to work with it. At Psychic Horizons, you learn to access your inner wisdom and use it more in your daily life. You begin to create your own reality and take charge of your experience. Instead of being the effect of the energy around you, learn to redefine, reclaim and renew your life. Doing this for yourself empowers you and puts you in charge of your journey, with permission to be who you truly are. Psychic Horizons Center is a teaching sanctuary within the Church of Inner Light. 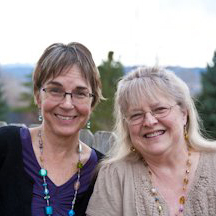 We are located in Boulder, Colorado and are pleased to also provide offerings within A Moms Space in Lafayette, CO.